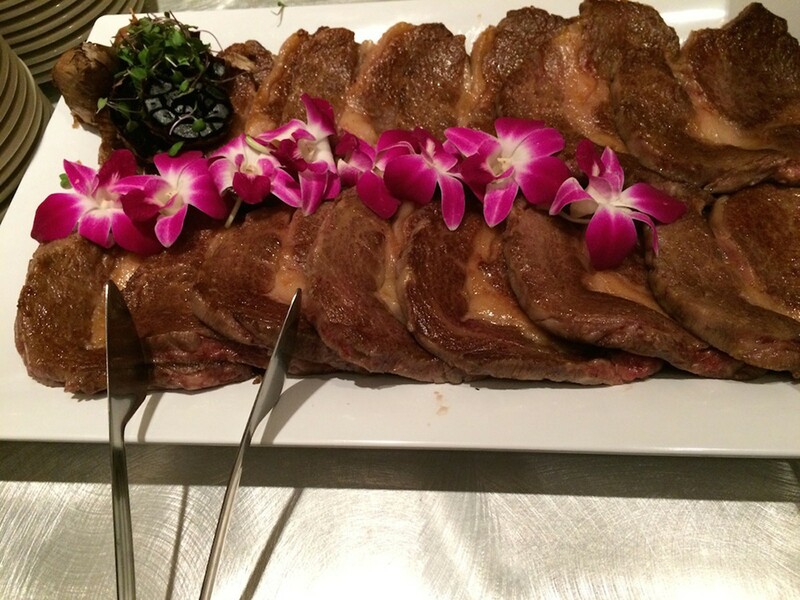 When a Japanese delegation from Mie Prefecture invited us to sample their world-renowned Matsusaka beef for the first time ever in the United States, we set aside any and all appointments, as well as any vegetarian sympathies, and hightailed it to the Wyndham Lake Buena Vista. There we sampled supremely marbled “Special Grade” beef procured from virgin cows that were regularly massaged, groomed, fattened on beer and a high-fiber diet, and “showered with affection” for 900 days. It all makes for the finest- tasting beef in the world, and that includes Kobe.